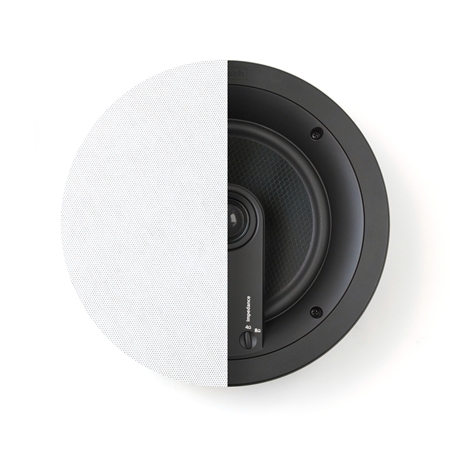 The honeycomb fiberglass woofers of the 6000 series offer an extension of the woven synthetic fiber construction – exceptionally low distortion and breakup characteristics while offering superior efficiency over heavier, more traditional cone materials – while offering superior linearity and damping characteristics for warm, balanced, natural low frequency reproduction. 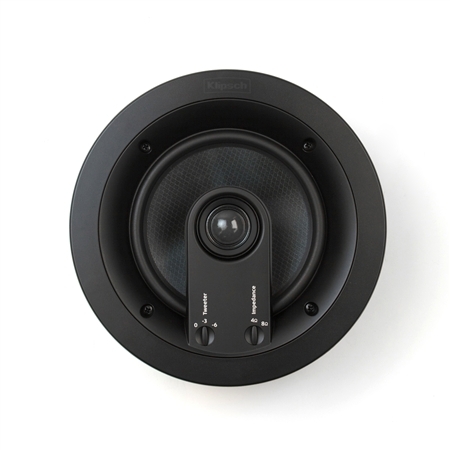 The Klipsch Pro-6800-C in-ceiling speaker features a 2-position impedance switch and a 3-position tweeter level adjustment enables you to match your musical preferences and system requirements. Klipsch’s Controlled Dispersion Technology (CDT) built into the Pro-6803-C in-ceiling speakers allows for easy and expansive positioning of high frequency and mid frequency drivers - providing aimable, on-axis response from an architectural speaker. The silk dome high frequency driver of the 6000 series offers all of the benefits of the titanium counterparts of the 4000 series with a noticeably smoother, more balanced reproduction, particularly in the upper vocal range of 2kHz – 8Khz. This results in a warm, natural, and lifelike sound while still displaying the exceptional dynamics and power inherent in a Klipsch speaker. 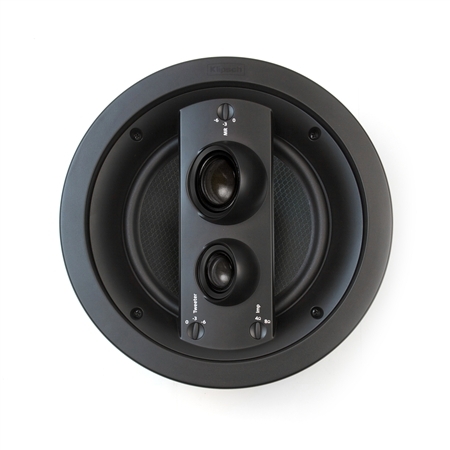 Klipsch’s CDT technology allows for easy and expansive positioning of high frequency and mid frequency drivers, allowing for aimable, on-axis response from an architectural speaker. 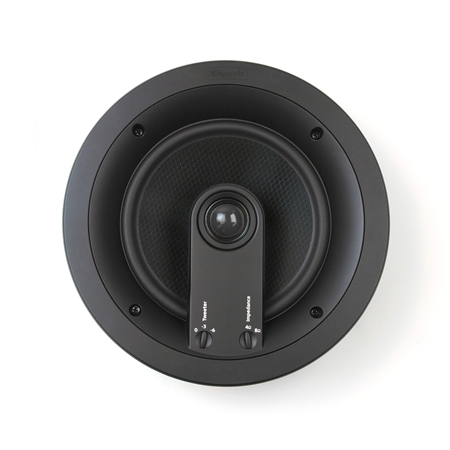 Featuring a 2-position impedance switch and a 3-position tweeter level adjustment enables you to match your musical preferences and system requirements. 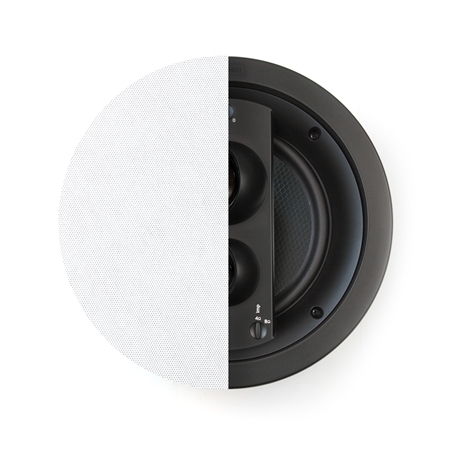 Covering the whole of the speaker makes painting the product both simpler and quicker. Premium Neodynium magnets make it easy to install and remove and ensure a secure and flush fit without any moving parts. The flat grill allows better harmonization with today’s modern interior designs and disappear into the background, enabling sound to take center stage.